Bike stop markings at North Broadway and Flint. Is it out of line for one person on a bike to aggressively criticize another for pedaling through a stop sign in a safe situation? Did firing of Karl Rohde hurt the Idaho Stop bill? The Portland Mercury’s Matt Davis is reporting that House Representative Jules Bailey (D-SE Portland) places blame for the demise of the Idaho Stop law on the way the Bicycle Transportation Alliance (BTA) handled the departure of Karl Rohde. 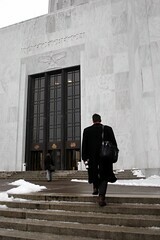 An effort to pass the “Idaho Stop Law” in Oregon has officially ceased all forward motion. of the Capitol in 2007. 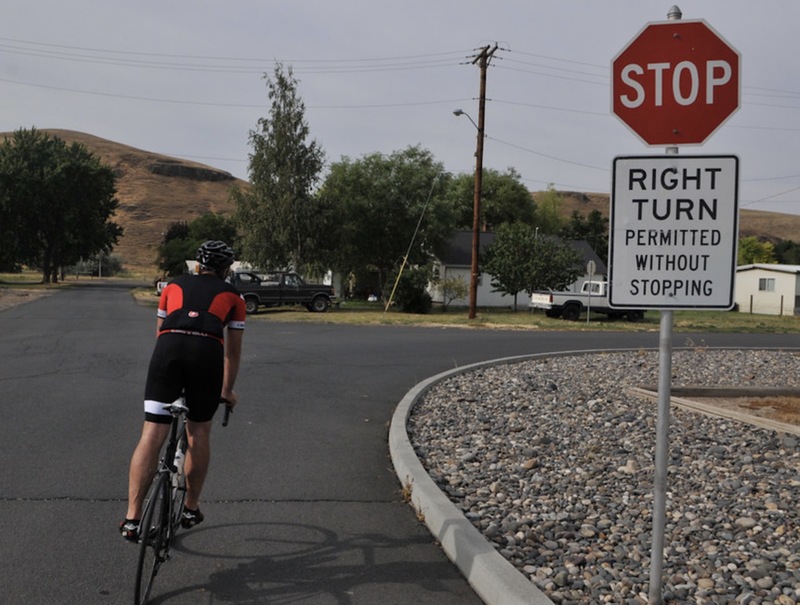 The Bicycle Transportation Alliance (BTA) is working feverishly to garner more support for the Idaho Stop Law (HB 2690) with legislators in Salem. 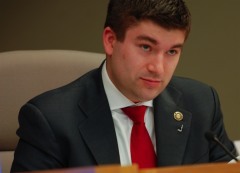 According to BTA Executive Director and lobbyist Scott Bricker, the Chair of the House Transportation Committee has given him a significant hurdle — line up 31 “yes” votes from House members (the number it would need to pass) or the bill will die in committee. 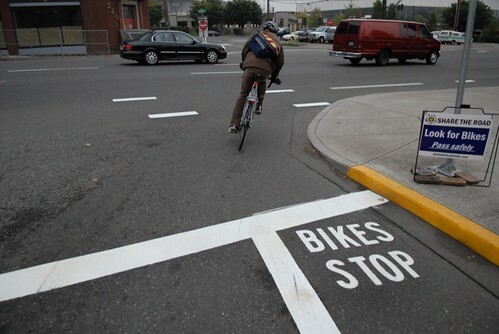 Lots of stop sign news at BikePortland headquarters today. One surprise at the Idaho Stop bill hearing two weeks ago was outright opposition from an unexpected quarter — the city of Eugene. 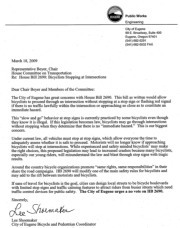 BikePortland obtained a copy of a letter in opposition from Lee Shoemaker, Eugene’s bicycle and pedestrian coordinator, outlining his concerns with the bill’s effect on road safety, particularly for young people on bicycles. opposition to the Idaho Stop bill. Last week, when the Idaho Stop Law bill — which would allow bikes to treat stop signs as yields (adopting a law similar to one already on the books in Idaho) — was in its first hearing down in Salem, one surprise that emerged was a letter of opposition sent from the City of Eugene to the House Transportation Committee. 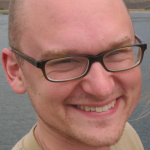 The Bicycle Transportation Alliance‘s government affairs director Karl Rohde said he was “surprised” about Eugene’s move. Rohde told me this morning that none of the people the BTA works with in Eugene had warned him that there might be opposition to the bill. 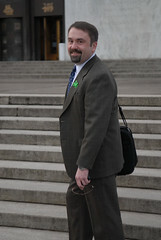 Rohde said Eugene’s opposition to the bill also came as a surprise to BTA board member and Eugene resident Paul Adkins (Adkins is also president of Eugene’s local bike advovacy group, the Greater Eugene Area Riders (GEARs)). The House Transportation Committee has scheduled a work session for the Idaho Stop law proposal (HB 2690). The work session will take place this Wednesday (3/25) and the BTA’s government affairs director and lobbyist Karl Rohde says it’s very likely a vote will also take place. I spoke with Rohde about the news this morning. Just yesterday, he expressed major concerns that biased and inaccurate media coverage of the bill was jeopardizing its chances.